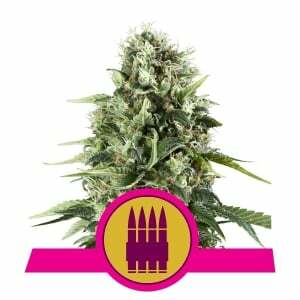 As one of the fastest-growing cannabis seed companies in Europe, Royal Queen Seeds has offered high-quality seeds at reasonable prices for many years. 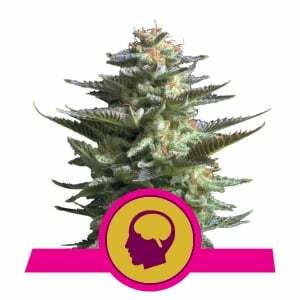 Our strains have already won various international cannabis competitions. We are so confident in the quality of our seeds that we have decided to launch a special FREE Seeds Promotion! From now on, and for a limited time only, we are giving away a generous supply of our top cannabis seeds FOR FREE! Yes, that’s right, you will receive FREE seeds with *every order you place! Don’t miss out on this fantastic opportunity, and take a look at some of the outstanding seeds in our giveaway: Amnesia Haze, the legendary brain-resetting monster strain; White Widow, the mother of the “White Strains” family; Indica Crystal Extreme aka ICE, the super-resinous indica; Critical, the highly-acclaimed yield bomb; Royal Moby, the fast-flowering indoor giant, and many more! For every order of €25 in our web store, you will receive 1 random free seed. If you spend €50, you will get 3 free seeds. If your order total is €75, you will receive 5 free seeds. Spend €135, and you will receive 10 free seeds from us. You can take a look at the chart below for more details. 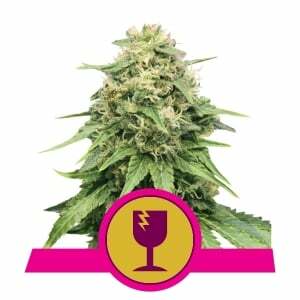 Our free seeds are selected randomly, but we will do our best to provide you with photoperiod seeds if you mainly purchased photoperiod feminized strains, or free autoflowering seeds if you purchased autoflowering varieties. If you have any questions about this special promo, don't hesitate to contact our support team and we'll gladly assist you. 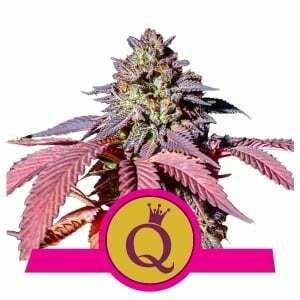 *The Royal Queen Seeds Free Seeds Promotion is only available for regular purchases. Bulk seed purchases are explicitly excluded from this or any other Royal Queen Seeds promotion. Some seed companies would be very happy just to offer the same quality of seeds as we do; but of course, we at Royal Queen Seeds have higher standards. We want to reward our loyal customers with something special! We are also giving away Royal Queen Seeds merchandise, including RQS clipper lighters, RQS smoking papers, posters, and stickers, along with other cool RQS products! And finally, there’s always a good chance that our loyal customers will find free seeds with their order! To get an idea of what free Royal Queen Seeds cannabis merchandise is included with each level of purchase, here are the basic RQS promotion and merchandise categories. 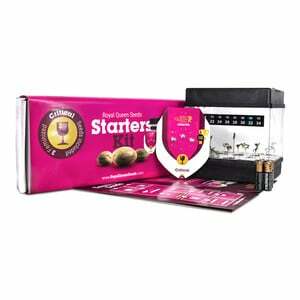 Of all these free cannabis items, it's the seeds that have probably caught your attention. The Free Seeds are selected at random. No need to worry, though. These seeds come from some of our choice varieties including Amnesia Haze, Critical, Royal Moby, White Widow, or another award-winning strains. The fun will be in trying to discover which is which. Regardless, it'll be a pleasant surprise. The perfect way to grind up your fresh grown Royal Buds. It does not matter if your wish to smoke your royal cannabis buds or use them to bake a cake. For both ways its very useful to have a cannabis grinder to make sure the cannabis is nice spread over the joint or cake. No longer sticky fingers by tearing up a bud with your hands. All the sticky icky will now get in to your joint. Another of the terrific collectibles included in most of these packages are our stickers. The stickers include the Royal Queen Seeds logo along with a cool illustration of one of the marijuana varieties we sell. This little bit of artwork will look great on any hard surface. The rolling papers and filter tips we offer make for a fantastic trip. They're designed to ensure an even, unhurried burn. This gives you time to enjoy and absorb your weed. They measure 4.5 by 10.8 centimetres and won't interfere with the taste of your favourite strain. The filters let you get every last drop of mellow gold in the joint without getting burned. The Clipper lighter has long been associated with the 420 lifestyle. There are good reasons for this. The lighter features an elongated shape that makes it safe to handle. The removable flint holder doubles as a handy little tamper. And since it's refillable and can take replacement flints, it'll serve you for years to come. The Royal Queen Seeds lighter comes in sleek black with the company logo, office number, website address, and email address. Among smoker lighters, it's one of the best. Finally, there's the amazing artwork of the cannabis posters. There's five different posters featuring four popular strains in some outlandish scenes. You can enjoy the images of either Northern Light, Fruit Spirit, Amnesia Haze, or Shining Silver Haze adding a touch of class to the room of your choice.